Decentralized runtime monitoring involves a set of monitors observing the behavior of system executions with respect to some correctness property. It is generally assumed that, as soon as a violation of the property is revealed by any of the monitors at runtime, some recovery code can be executed for bringing the system back to a legal state. This implicitly assumes that each monitor produces a binary opinion, true or false, and that the recovery code is launched as soon as one of these opinions is equal to false. 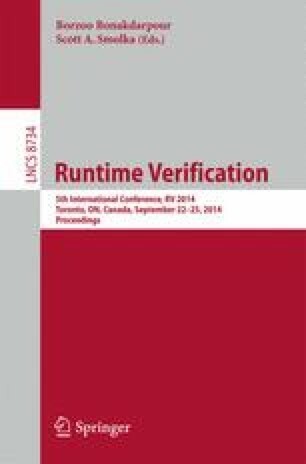 In this paper, we formally prove that, in a failure-prone asynchronous computing model, there are correctness properties for which there is no such decentralized monitoring. We show that there exist some properties which, in order to be monitored in a wait-free decentralized manner, inherently require that the monitors produce a number of opinions larger than two. More specifically, our main result is that, for every k, 1 ≤ k ≤ n, there exists a property that requires at least k opinions to be monitored by n monitors. We also present a corresponding distributed monitor using at most k + 1 opinions, showing that our lower bound is nearly tight. All authors are supported in part by the CONACYT-CNRS ECOS Nord M12M01 research grant.